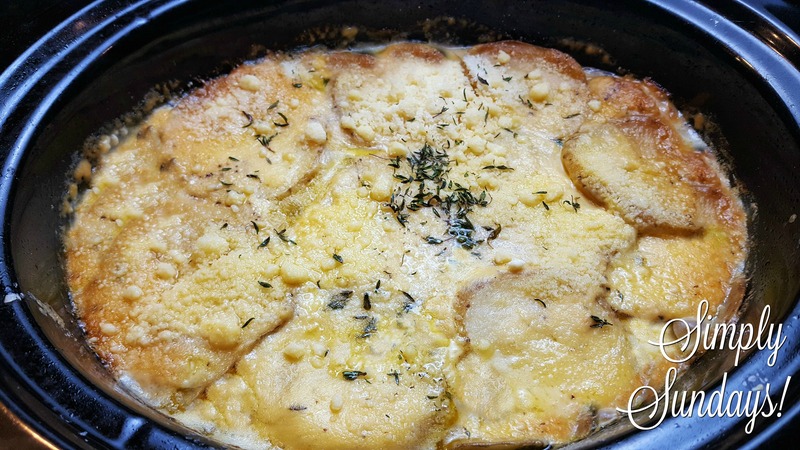 Slow Cooker Au Gratin Potatoes – Simply Sundays! Cheesy & creamy potatoes with minimal effort?? Sign me up! And there you have it! Cheesy, bubbly Au Gratin Potatoes! A perfect side for any meal!